LifeStyle is Premium Responsive MyBB 1.8 Theme. dealing with this MyBB theme. 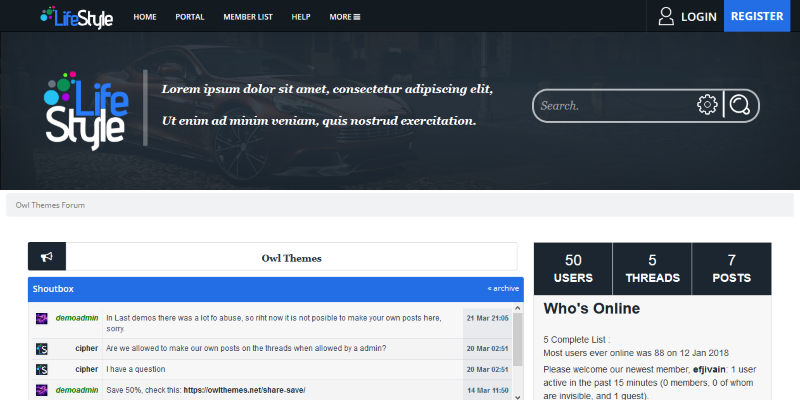 – Very original and unique, Forum look. – Beautiful, professional Header and Footer. – One of the best Responsive/Mobile look among MyBB Themes. LifeStyle - MyBB MultiColor, Responsive Theme is ranked 5 out of 5. Based on 6 user reviews.